Everyone has some broken or unwanted gold lying around somewhere. Turn that gold into CASH! We buy all karats and conditions of gold and silver. Stop in and find out how much that old jewelry is worth TODAY! Get top dollar for anything of value. We offer short term collateral loans on anything of value. There is no minimum or maximum amount you can borrow. Your items will be securely stored until the balance of your loan is paid off. Stop in anytime for a FREE evaluation of your merchandise. No appointment is necessary! We have merchandise available for below wholesale prices. Why buy retail when you can SAVE? Stop in and browse our inviting sales floor or give us a call if you’re looking for something specific. 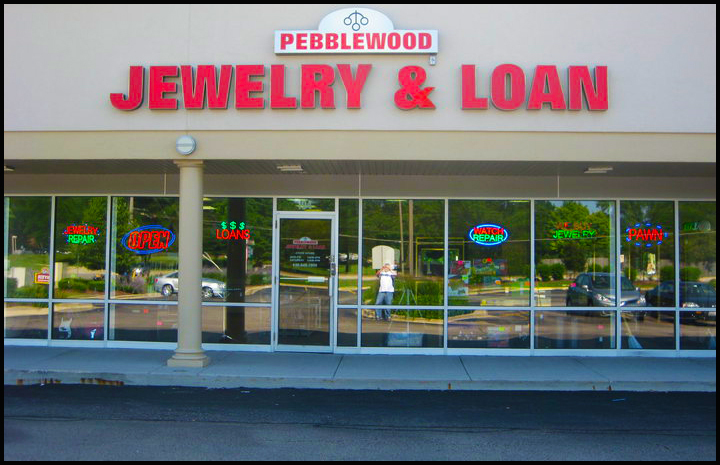 We are a full service jewelry store. We can repair jewelry, size rings, or make custom pieces. We replace watch batteries and bands on-site, and can repair broken watches. We are conveniently located on Route 59 in Naperville, just one block south of Diehl Road behind the Wendy’s. Take I-88 to Route 59 and go south ½ mile. We are on the east side of Route 59 next to Subway.